Time for a new challenge at Seize The Birthday, and today our optional topping is stamping only. If you're not comfortable with this and want to add diecuts, embossing, embellishments or whatever, you can still play along with any birthday-themed project. I've used Inked Flora from Altenew on a smooshed background. 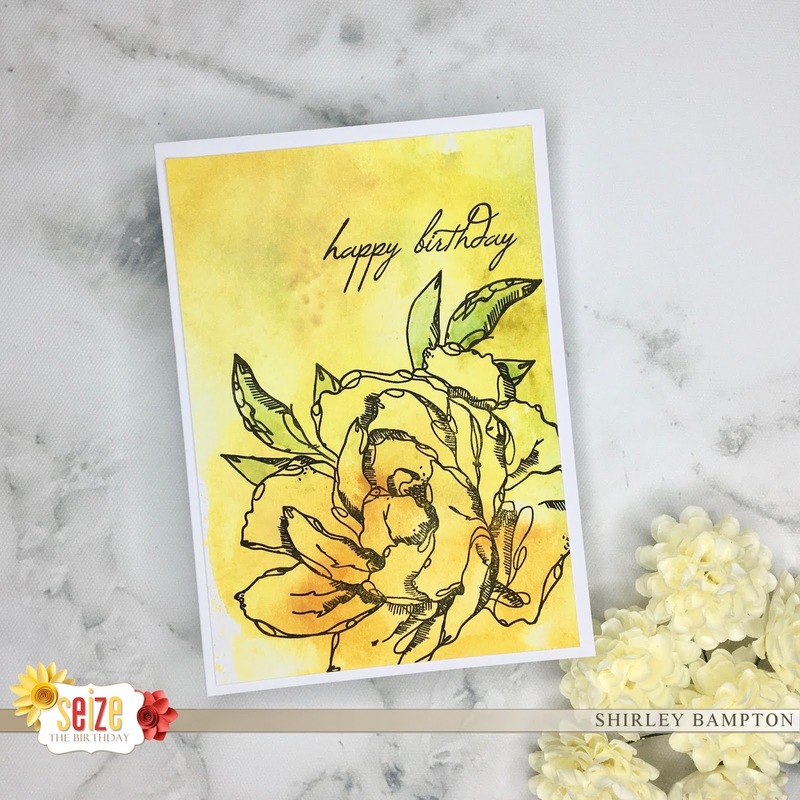 Pop on over to the Seize TheBirthday blog for a look at some fabulous inspiration from our guest designer, Julie Beech, and the rest of the design team, and play along with us. So pretty. Love that big flower over your smooshed background. Great idea to use a smooched background for the color and just stamp in black over it. Fabulous! Great design idea for the toppings option! Awesome !!! Gorgeous Shirley! Love that smooshed background and that letter style on your greeting! HUGS! Loving the bright cheerful yellow! Simply stamping the flower there is such a great idea, and its the perfect flower too!! What a gorgeous background! Perfect stamp to use to let the background shine through. Such a lovely design.